Take a luxurious dip at our sparkling pool. 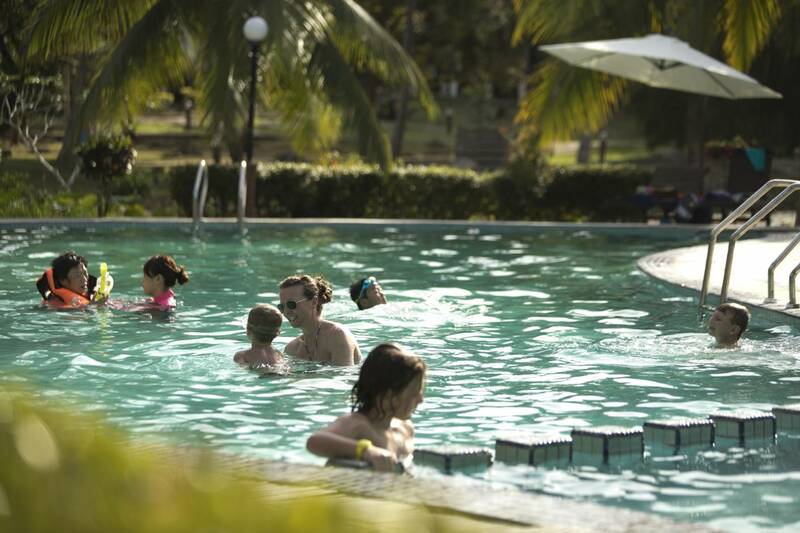 There is a children’s pool connected right to it, so come spend some family fun time. The pool is open from 08:00hrs to 19:00hrs every day.